jarman and i are movie whores to say the least. going to the movies is literally our favorite thing to do together. last winter, we made a habit of doing an mdm (movie dinner movie) almost every friday. this past week we have seen four movies. don't judge us. the government shutdown is seriously limiting our tourist activities, and the weather has provided some other setbacks (last weekend was a major heatwave, and this one is totally rainy). we are terrrible movie critics, because we just generally like movies. we never regret seeing a movie, even if we don't love it. we love to discuss what movies were trying to convey, whether or not we would watch it again, etc. we are going to attempt to rank the movies we have seen recently. we didn't necessarily love any of these movies, but we did appreciate certain aspects and were definitely glad that we saw them. here we go. i'm not going to lie, half of the reason we liked this movie so much was because of thor, sorry, chris hemsworth. it is hard for us to discriminate against our favorite actors. 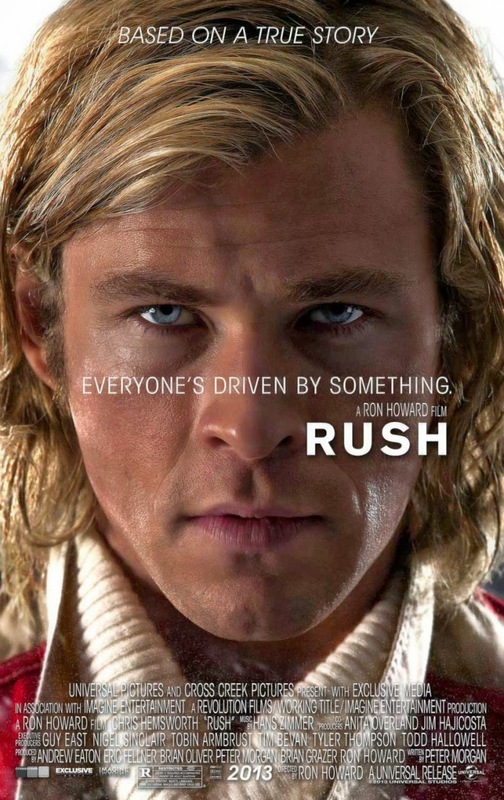 rush is a story about the male ego and its major flaws, disguised as a true story about european racecar drivers. each of the main characters are arrogant and narcissistic in their owns ways. james hunt and nicki lauda were major rivals in the 1970s, and pushed one another to become their best. eventually this leads to lauda's crash and subsequent nearly fatal injuries. (i'm not going to lie, i closed my eyes for about 5 minutes because his recovery was so gross). this movie is at the top of our list because it had great cinematography, and showed the ways in which competition can make or break a person. i was unsure about this movie until the last ten minutes, when tom hanks performed one of the greatest scenes of human angst i have ever scene. the movie is about somalian pirates who take over an american ship delivering goods around the horn of africa. as captain of the ship, phillips was responsible for keeping his men safe, even though that put his own life in danger. the entire movie was stressful and suspenseful, though it dragged on a little bit towards the end. however, like i said, that last ten minutes made the movie great, and tom hanks should be given an award. this was probably one of the darkest movies i have ever seen. again, it is hard to dislike anything with hugh jackman, and he was great at the role that he played. this was another interesting portrayal of how male egos can completely change the person as a whole. the movie starts out with hugh jackman and cuba goodings daughters being lost, presumably kidnapped on thanksgiving. the monsters that this event turns the men into are terrifying in and of themselves. our stomachs were in knots the entire time, and i nearly couldn't sleep that night just thinking about it. the tagline of the movie was 'hope for the best, prepare for the worst', but it seemed to prove that no matter how prepared you are, even worse things can happen. i probably could not handle the agony of watching it again, but like i said, i don't regret seeing it. i love justin timberlake and jarman loves ben affleck so we were stoked to see this movie. it is your typical story of a boy who tries to gamble his way through college, and gets caught up in a circle of lawbreaking and misdeeds. while this type of movie generally catches our interest, we found runner runner to be anticlimactic. it was all talk and no action. ben affleck did a stellar job of being the bad guy, and i actually didn't think jt was anything spectacular (which is hard for me to say).